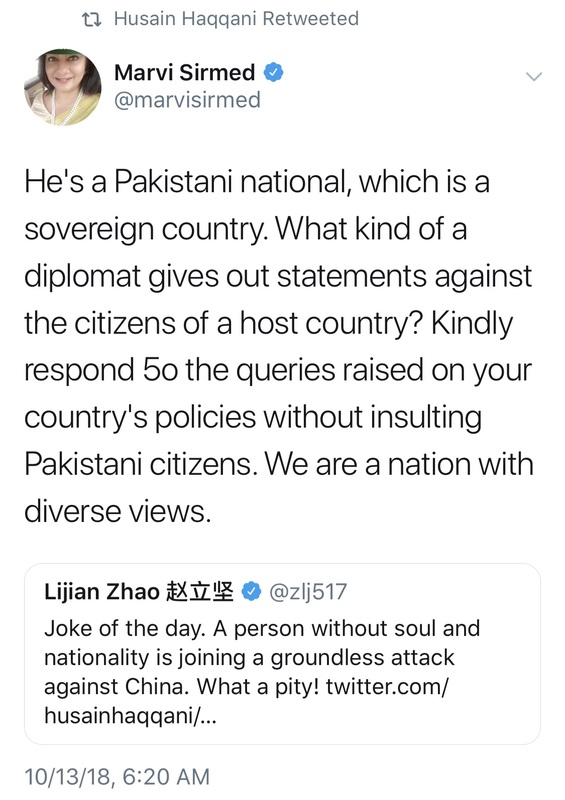 Should the Chinese envoy to Pakistan act as a viceroy? 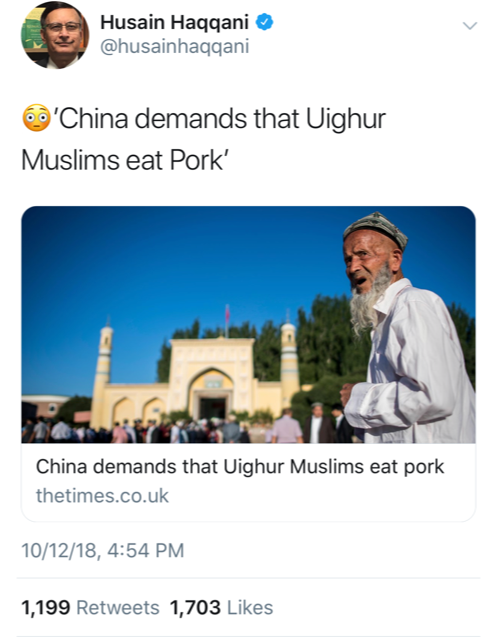 If China is seeking to build soft power around the world, maybe they first need to teach their diplomats to stop acting like viceroys. 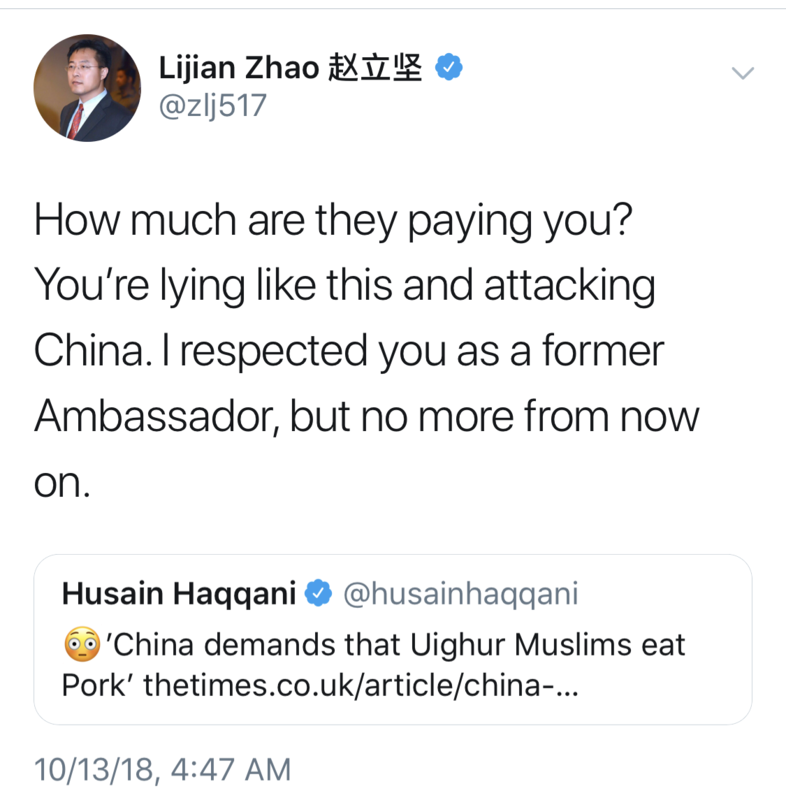 The Chinese Deputy Chief of Mission took affront at the tweet and sent out two personal attacks against the well-known author and former ambassador. 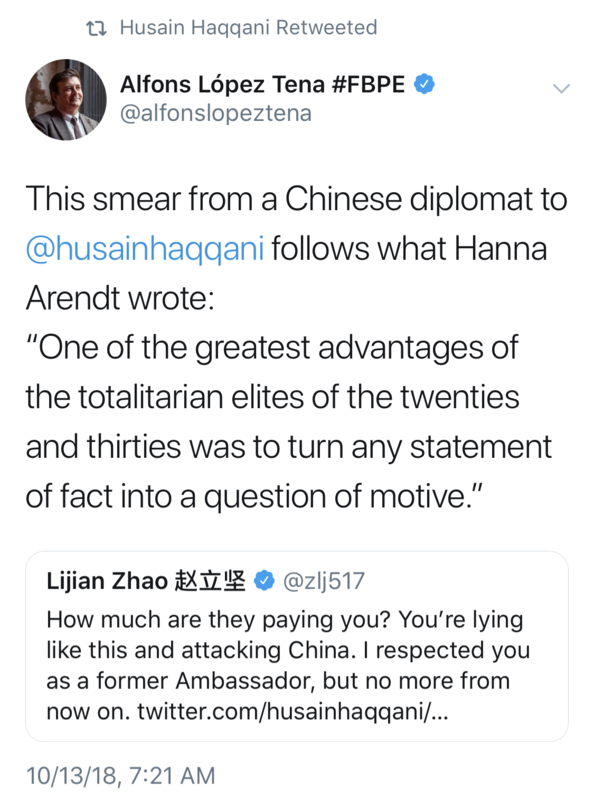 It is interesting that instead of denying the story Mr Zhao preferred to attack the messenger. 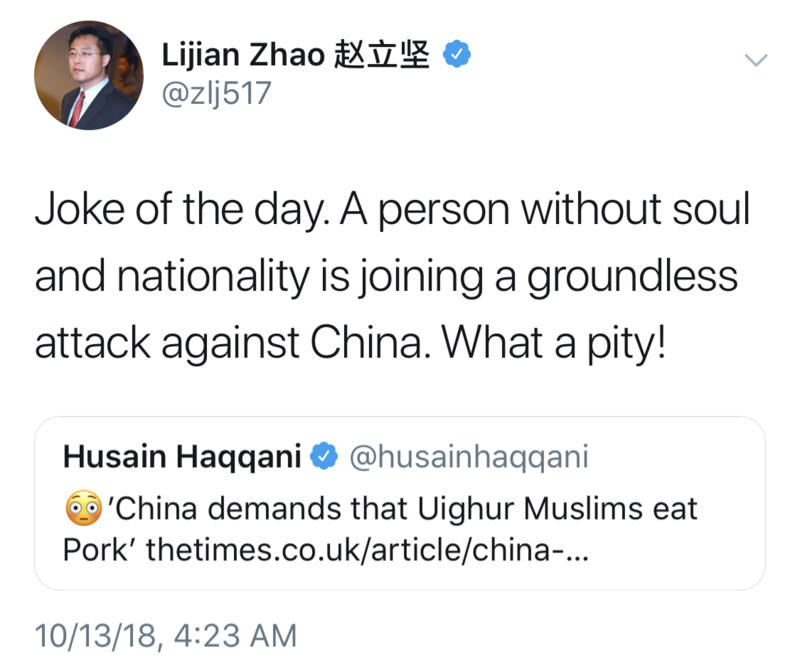 What is well known is that Mr Zhao previously called himself Muhammad Lijian Zhao dropped ‘Muhammad’ after China banned Muslims names. 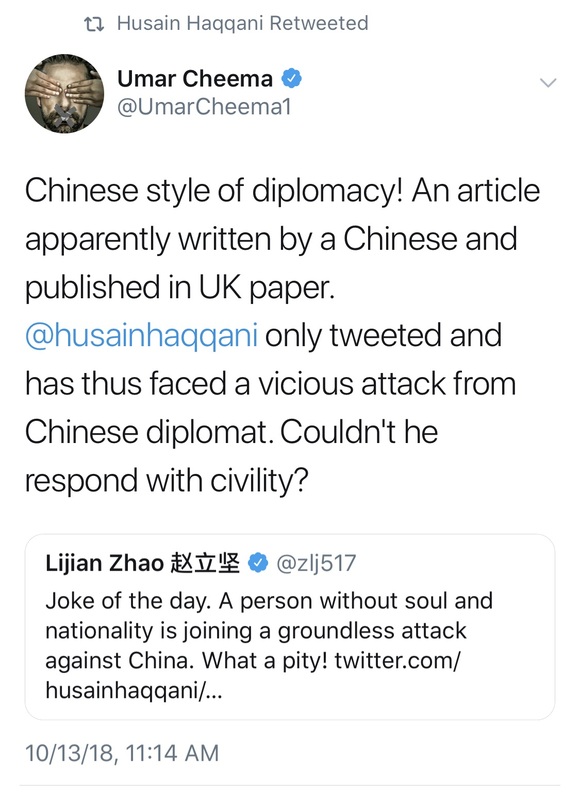 While the usual PTI trolls hurled abuse on Mr Haqqani and praised Mr Zhao’s tweets, many Pakistanis objected to a Chinese diplomat attacking a Pakistani citizen over sharing a news story. 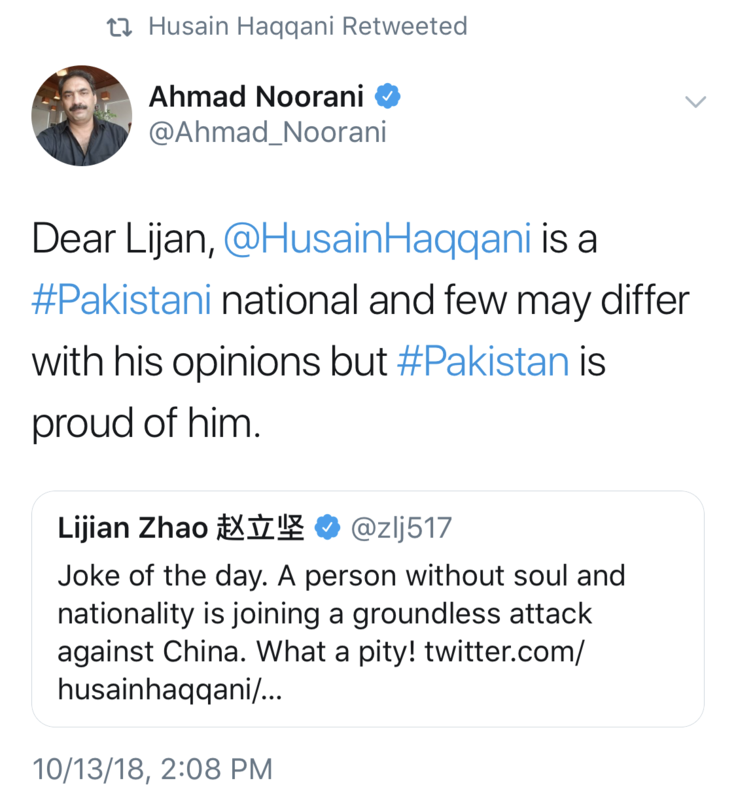 Many leading Pakistanis on twitter and others around the world rose up in defense of Amb Haqqani. Leading investigative journalists, Umar Cheema and Ahmad Noorani, who have often disagreed with Mr Haqqani, too rose up to defend him.